The Office of Special Education Programs (OSEP), U.S. Department of Education, has issued informal guidance that appears to change its interpretation of the IDEA local maintenance of effort requirement (MOE). The purpose of the MOE provision is to ensure consistency in the amount school districts spend on special education and related services from year to year. The new interpretation, which allows school districts to reduce the amount of funds spent on special education, has the potential to jeopardize important services for students with disabilities. The memo dated June 16, 2011, states that, if a school district does not expend all its federal IDEA Part B funds during one fiscal year, its “maintenance of effort” will be reduced in the next fiscal year to the level of the previous year’s actual expenditure. OSEP summarizes its position, stating that “[E]ach year’s LEA maintenance of effort obligation is based on the actual amount expended in the immediate prior fiscal year.” In other words, a school district will be rewarded if it does not spend its full allotment by only having to meet the lower amount the following year. OSEP previously interpreted the MOE requirement as a school district could not decrease the amount it spends on special education and related services below the allotment from the previous fiscal year, regardless of whether the school district spent the full amount it received. The law contains several exceptions to this rule. For example, a local school district could reduce its “effort” if senior personnel retire and are replaced by qualified, more junior individuals at lower pay or if the district has a student who requires exceptional costly services, such as residential or out of district placement. 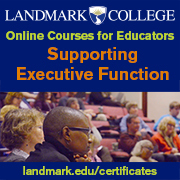 The law also allows an exception when there is an increase in federal funding to the district. 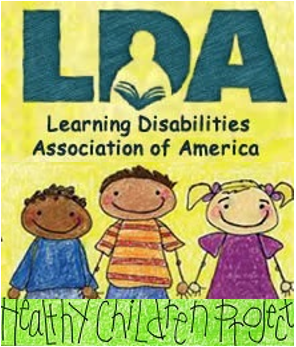 LDA is working with partner organizations to request OSEP to rescind its new interpretation, given the possible serious consequences on services to students with disabilities. We will keep you informed as this discussion continues. In mid-September, President Obama delivered the American Jobs Act to Congress, a plan designed to jumpstart the economy by putting people back to work. The Act has several provisions to help school districts deal with continuing tight local and state budgets and cut-backs in federal allocations. These provisions are targeted at preventing educator layoffs, modernizing the education infrastructure, and upgrading community college facilities. Speaker of the House John Boehner (R-OH) indicated his party’s interest in working with the President to find solutions to the current economic situation. He has requested the nonpartisan Congressional Budget Office to provide a score of the costs of the legislation. He also noted there are a number of bills already introduced that may be a part of the discussion. The president’s plan would provide $35 billion to prevent layoffs of public employees Ã¢â‚¬“ school personnel, firefighters, and police officers. The money for school districts is estimated to reverse up to 280,000 layoffs of school personnel, jobs that are vulnerable in the coming school year because of state budget constraints. The Act also calls for $30 billion for repair and renovation of existing public schools, with an impact on at least 35,000 buildings. The backlog of maintenance and repairs for school buildings is estimated at around $270 billion nationwide. $25 billion of the total would be designated for K-12 schools, with a priority for rural schools and specific funds for schools run by the Bureau of Indian Education. The remaining $5 billion would fund modernization for community colleges. If the package were to pass as introduced, funds also would be available for training based on the needs of specific sectors of employment and career academies that allow students to get both academic and job training. In addition, other investments would target communities hardest hit by the recession. On August 2, President Obama signed the Budget Control Act of 2011 (BCA). The aim of the Act is to reduce the federal deficit by $2.3 trillion over ten years. This can be done under the Act in two ways. The first way is through caps on discretionary spending. The second vehicle is a new Joint Select Committee on Deficit Reduction (“Super Committee”) charged with identifying an additional $1.5 trillion in deficit reduction through spending cuts, revenue increases, or a combination. Discretionary spending covers education, health, social services, transportation, environment, medical research, security, including defense, and pretty much everything not classified as an “entitlement” program. For Fiscal Years (FY) 2012 and 2013, BCA establishes a “firewall” between spending on security and the rest of the discretionary pot. Also, under the spending caps certain mandatory programs are exempted, such as Social Security, food stamps, parts of the child nutrition program, Pell Grants, and the Children’s Health Insurance Fund. At least $840 billion of the $2.3 trillion will come from cuts in discretionary spending. More immediately that translates to a cut of $44 billion or 4 percent in these programs for Fiscal Year 2012 (FY 2012; school year 2012-13). Revenues may not be raised to meet the discretionary caps. The Super Committee Ã¢â‚¬“ co-chaired by Senator Patty Murray (D-WA) and Representative Jeb Hensarling (R-TX) Ã¢â‚¬“ must vote no later than November 23, 2011, on how it proposes to achieve at least $1.5 trillion in deficit reduction between FY 2012 and FY 2021. If the committee can reach agreement and produce a report, that report must be submitted to Congress and the president not later than December 2, 2011, and Congress must vote on the report, with no amendments, by December 23. If Congress approves budgets exceeding the discretionary caps or if the Super Committee fails to come up with or Congress fails to approve a plan to reach the deficit reduction goal, a process known as sequestration is triggered. Sequestration equals automatic across the board spending cuts. Much of Congress’s energy and time will be focused on getting the fiscal house in order over the next few months. 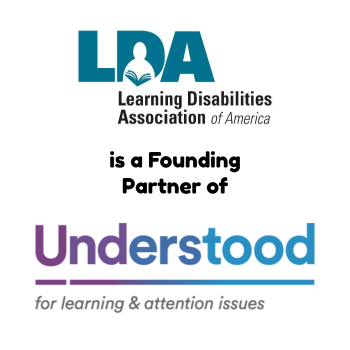 LDA will keep you apprised of the impact of congressional decisions on individuals with specific learning disabilities.